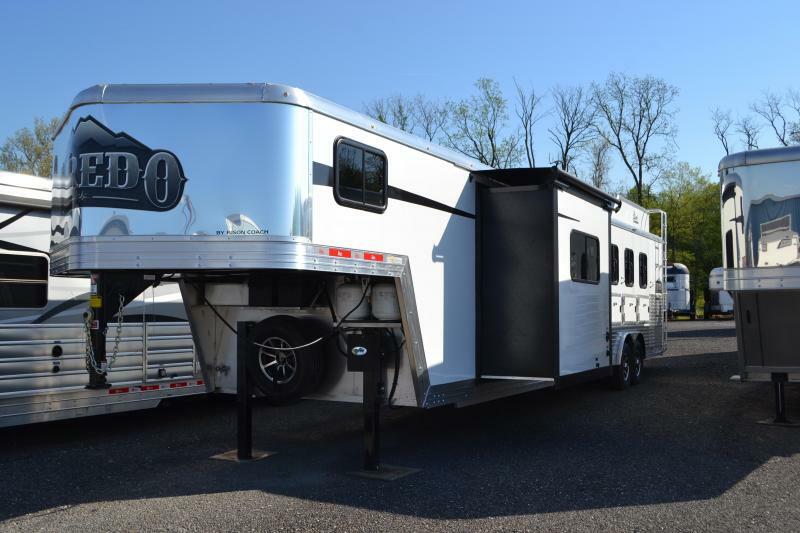 Beautiful trailer! 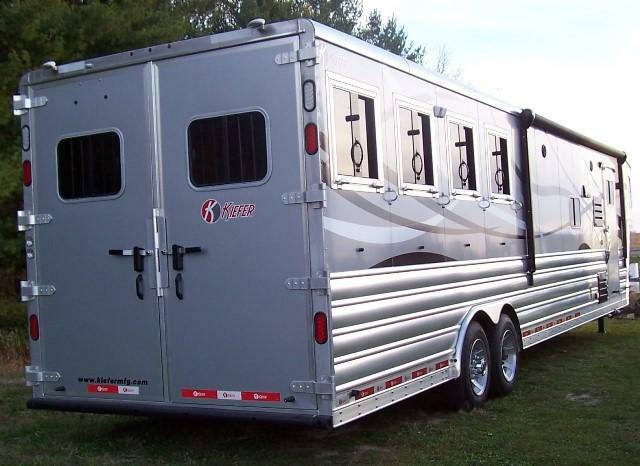 New Kiefer four horse trailer with dimensions measuring 8' wide, 7' 6" tall, and 32' 4" long. 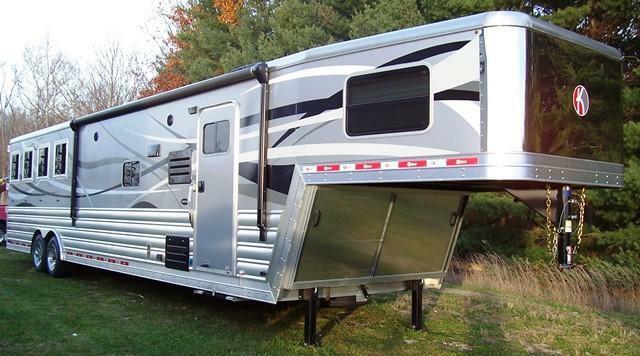 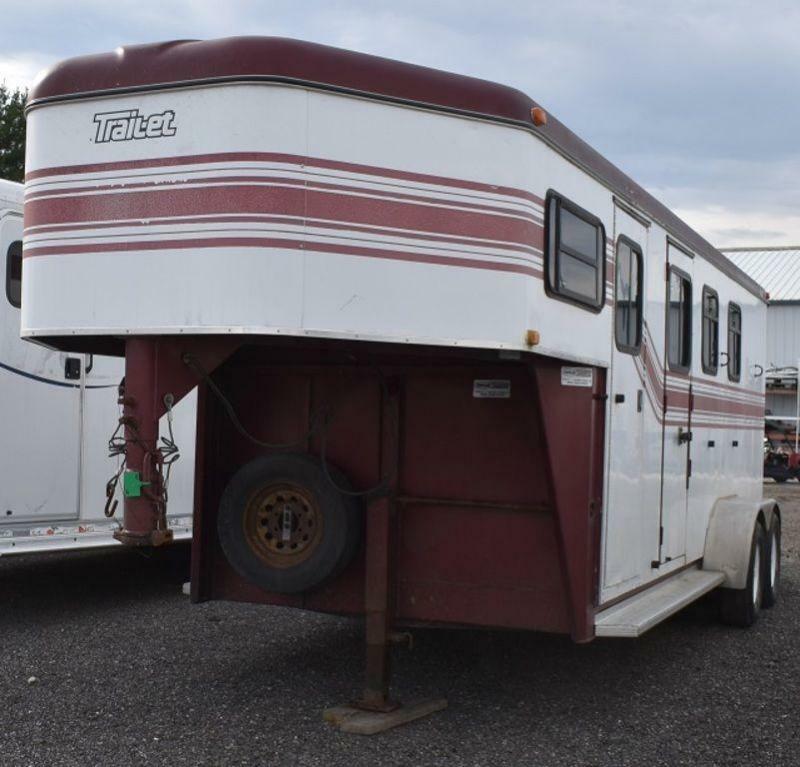 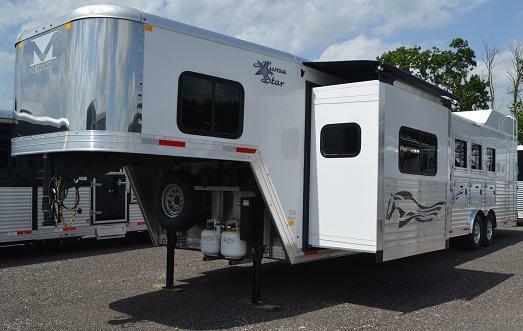 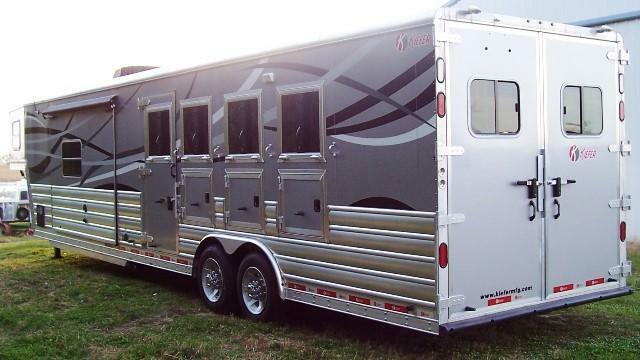 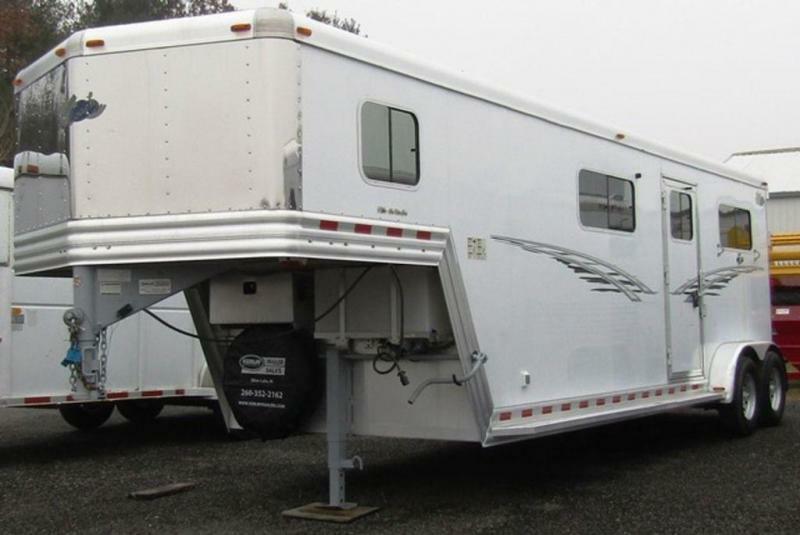 Horse area is fully loaded with mangers, drop down windows on both the front and rear, and a large rear tack. 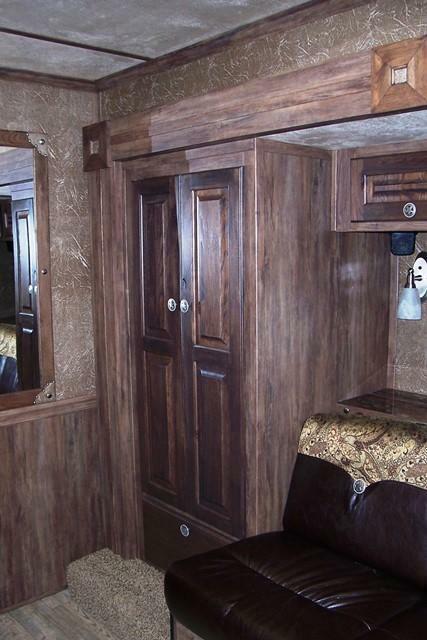 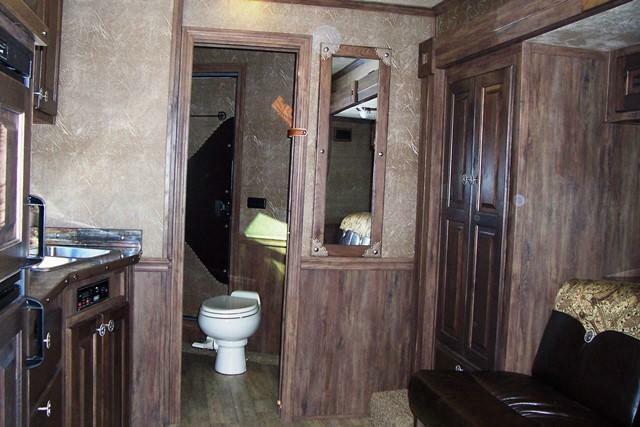 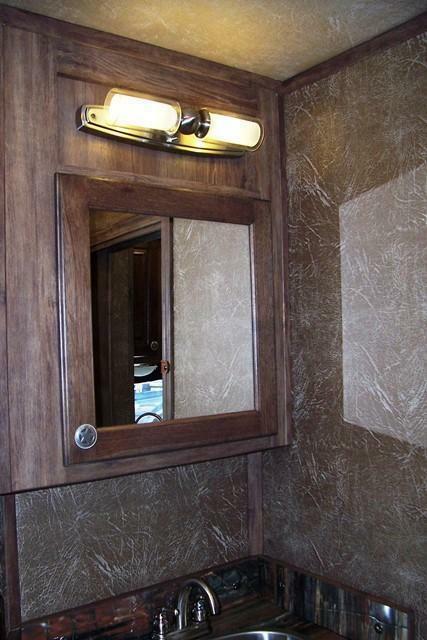 The living quarters in this trailer is stunning! 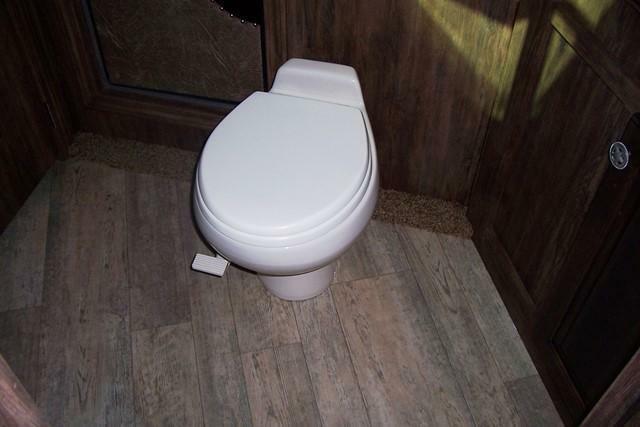 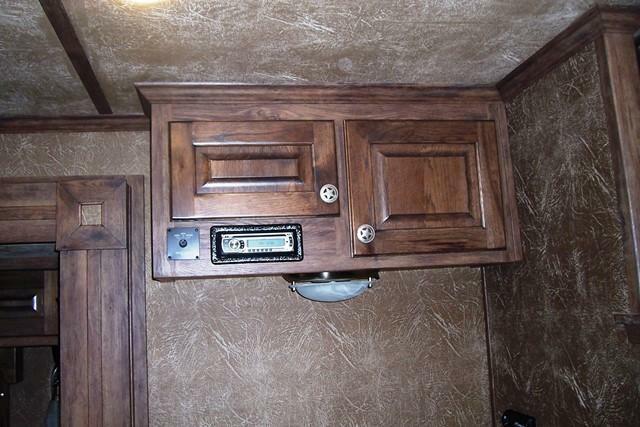 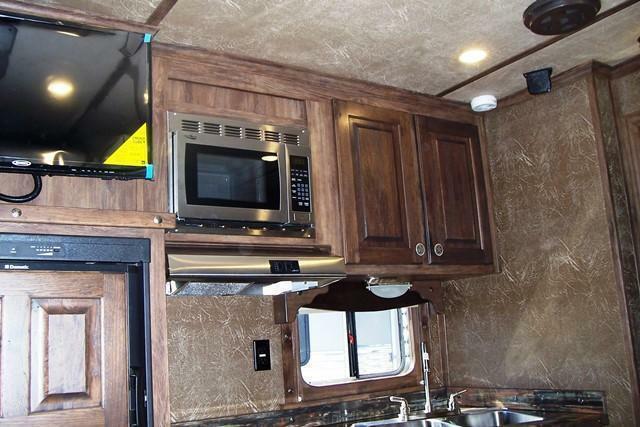 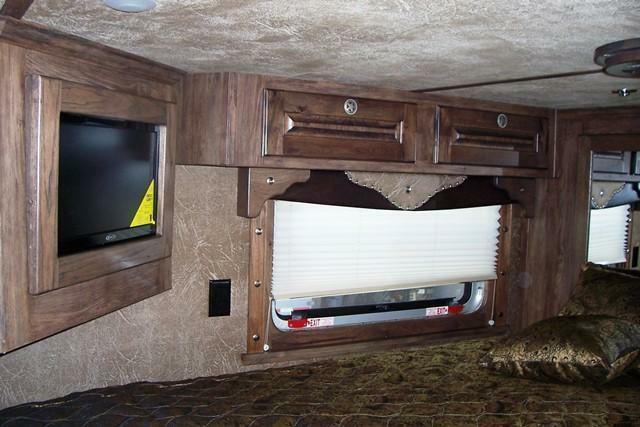 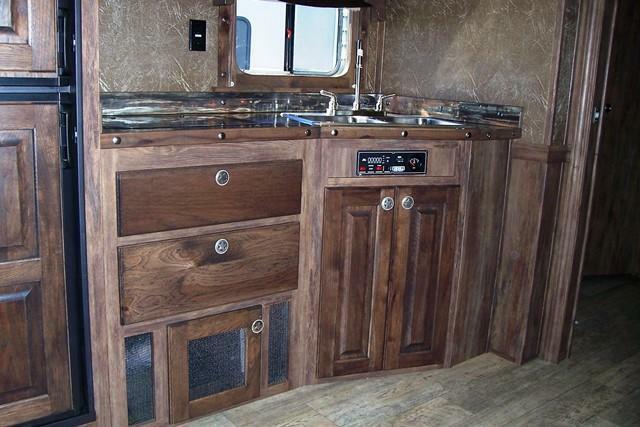 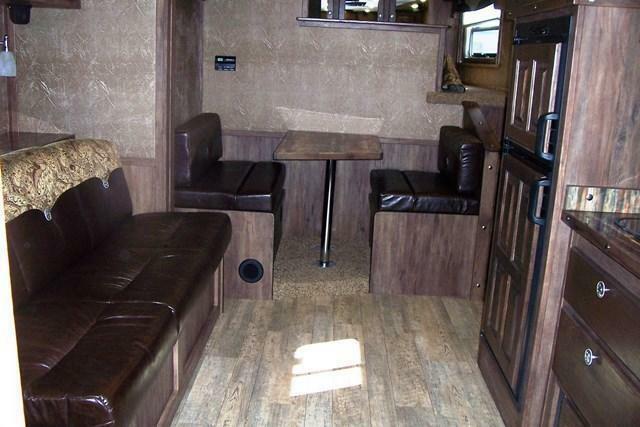 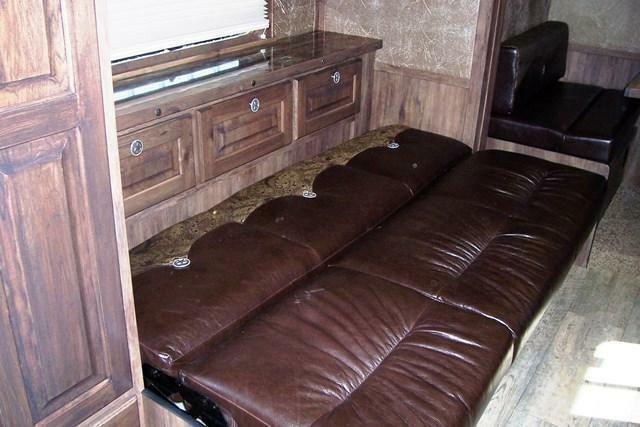 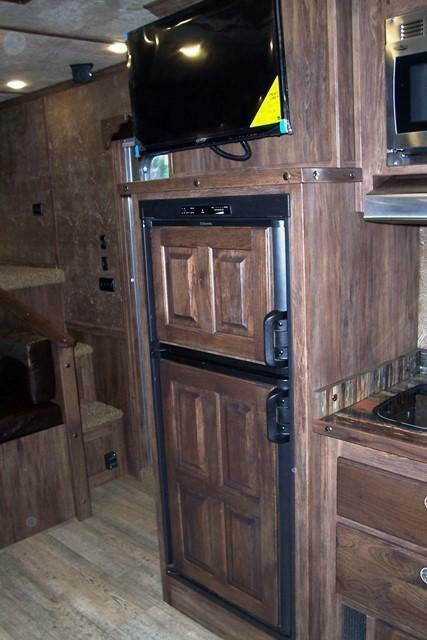 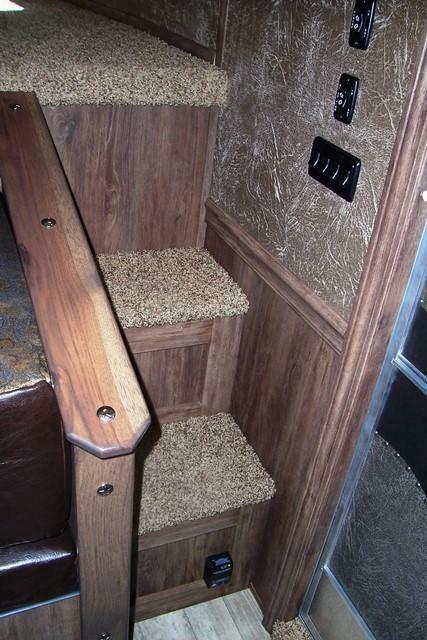 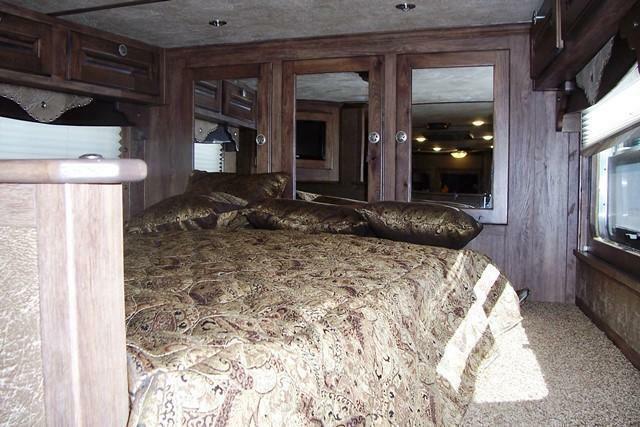 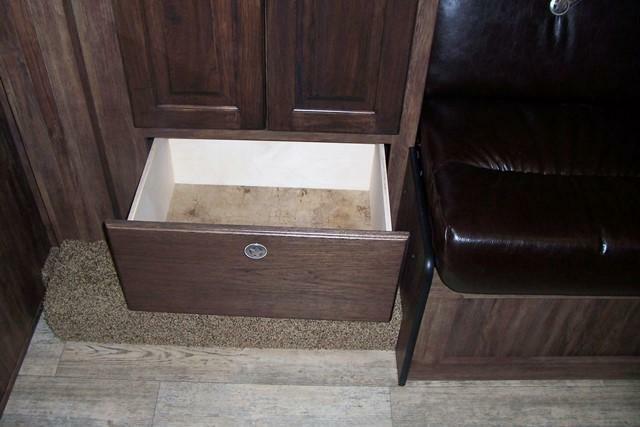 Contains a Sierra Conversions interior with front dinette floor plan. 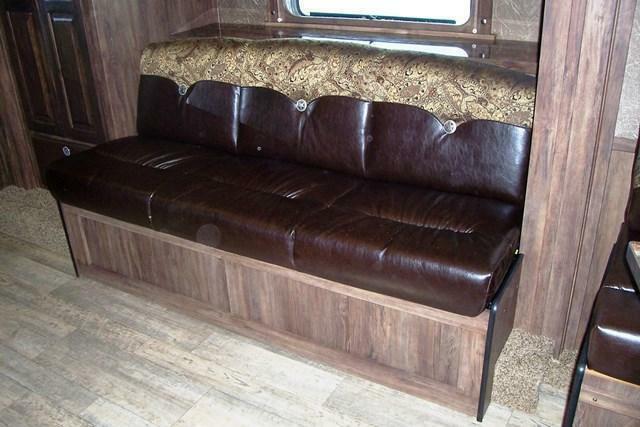 Leather sofa in slide out, dinette table which converts into a bed, 6 cubic foot refrigerator, massive amounts of wooden cabinetry for storage, radio system, multiple televisions, overhead microwave, beautiful tabletop, stove, A/C, furnace, and closets for clothing. 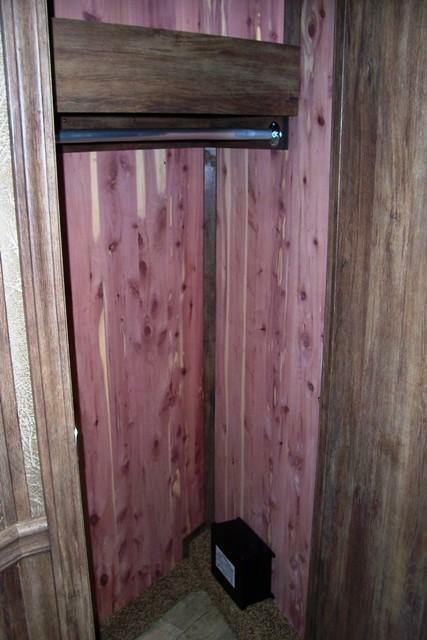 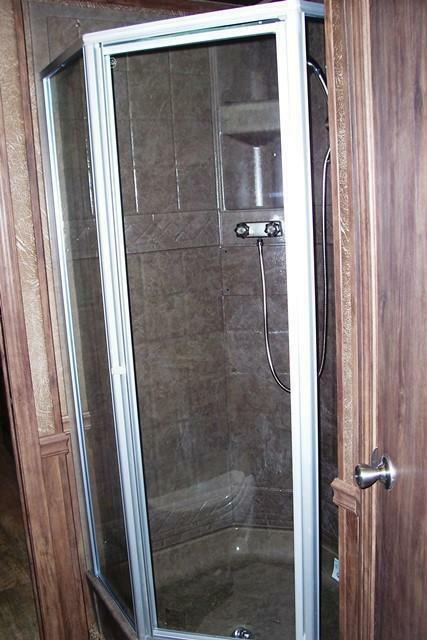 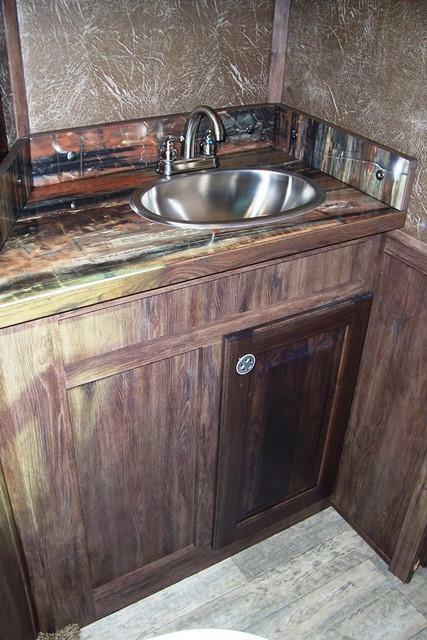 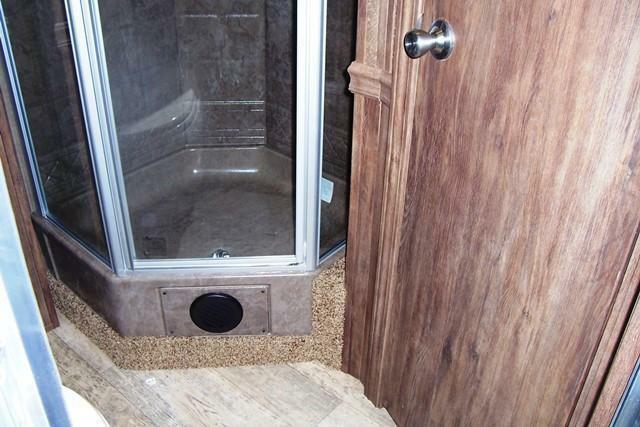 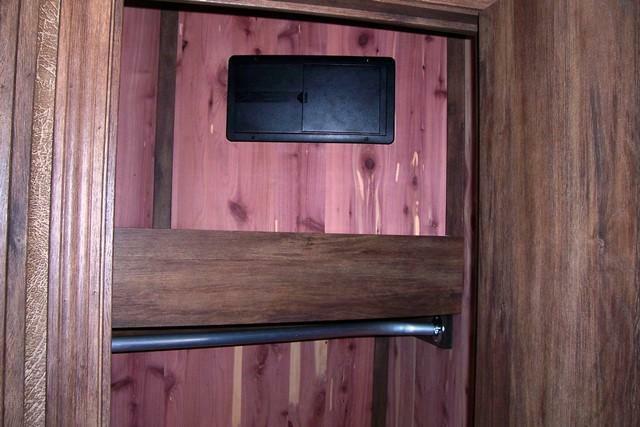 Bathroom contains a large vanity, medicine cabinet, wooden cabinets for storage cedar lined, shower, and toilet. 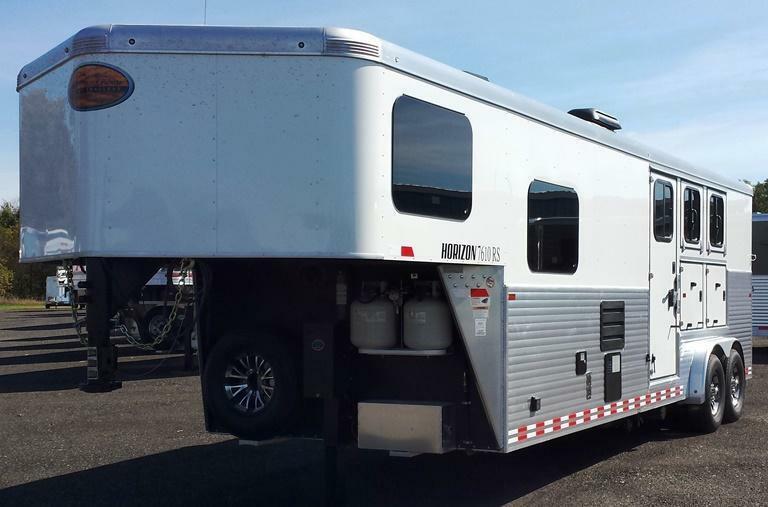 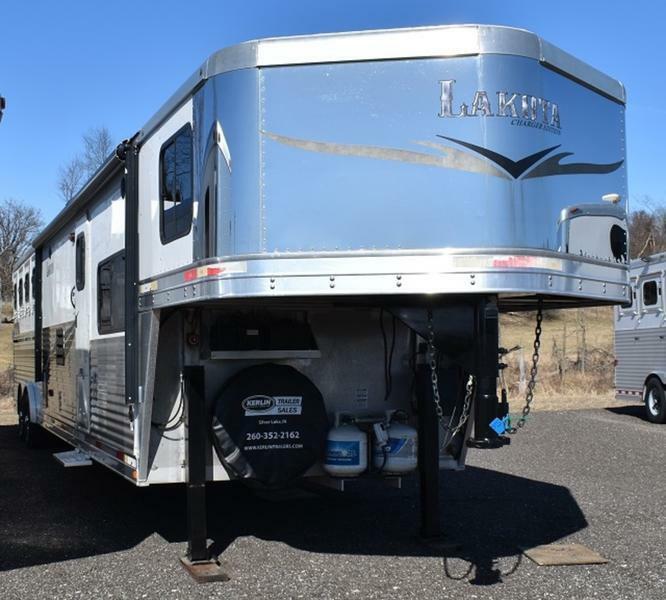 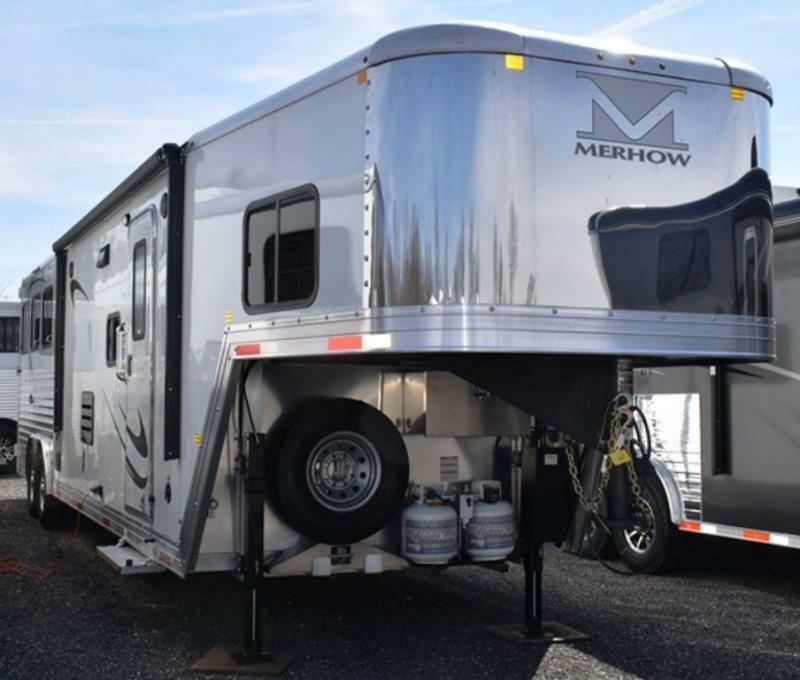 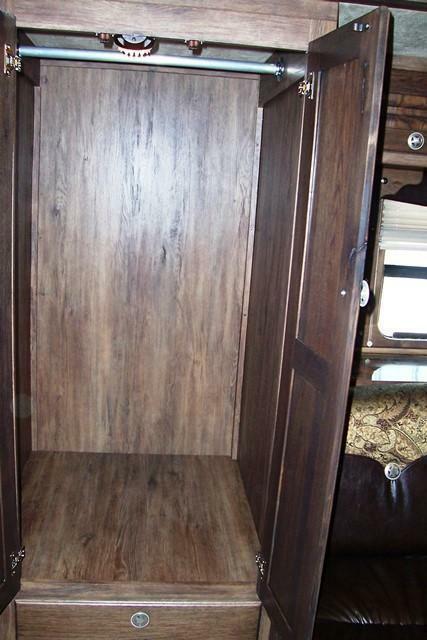 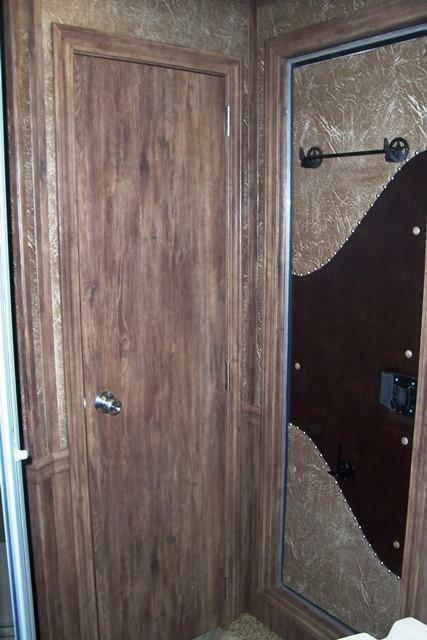 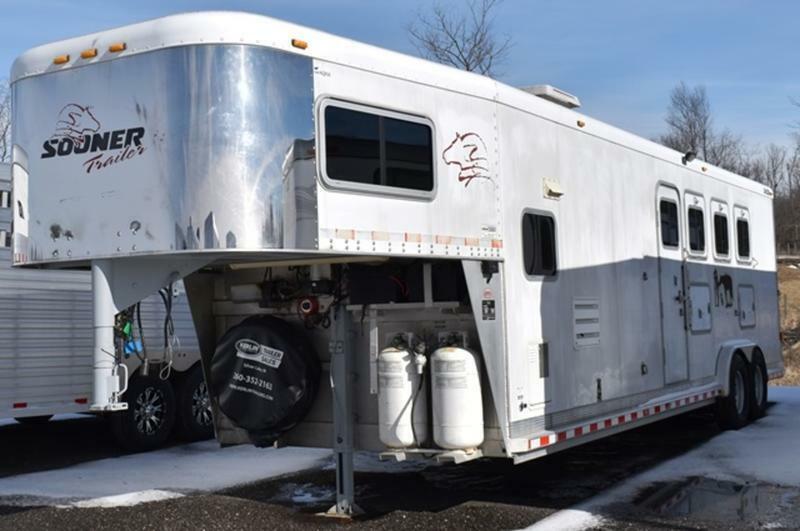 This one of a kind trailer is fully loaded, almost any feature you could imagine comes with this one!